Nothing helps you get more out of every mile than proper auto service for your vehicle. Of course, we realize more than a few drivers from Blairsville, Kittanning PA, Johnstown PA, Greensburg PA, Indiana PA, Somerset PA, Tyrone PA and Uniontown PA strongly prefer to perform such work themselves. 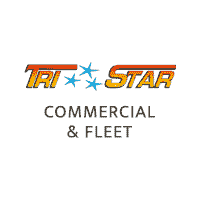 That’s why Tri-Star Commercial Trucks keeps a healthy stock of genuine Ford, RAM, Dodge and Nissan parts for sale. Of course, it’s not quite enough that we simply sell the parts your car needs; we also help you find them. That means understanding which component works with which model in, so we can make the ordering process a breeze for you. No more headaches from ordering the wrong part for your vehicle or commercial truck. When you work with Tri-Star, you get matched with the right part the first time. Want to know more about a part from us? Please contact us to learn more!